Minister of Youth, Sports and Culture the Hon. Michael Pintard. Photo: Dave Mackey, Mackey Media Ltd.
Freeport, Grand Bahama Island- Last week, the Travelling Caribbean Film Showcase made its way to Grand Bahama Island to expose Bahamian filmmakers to first-rate producers actively working in the Hollywood film industry. 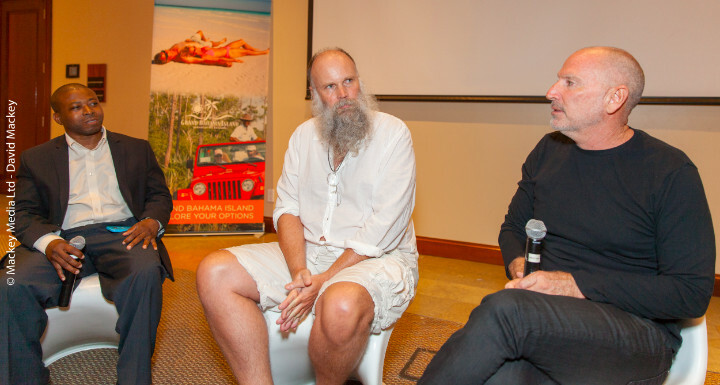 The event was hosted by the Ministry of Tourism's Bahamas Film Commission, and featured an informative session where local producers, directors and artists were given the opportunity to learn from movie moguls such as the co- producer of Game of Thrones, Vince Geradis and Marcus Nispel, director of music videos, advertisements, and Conan the Barbarian. Prior to the introduction of guests, Hon. Michael Pintard, Minister of Youth, Sports & Culture, addressed the creative arts community on the initiatives spearheaded by his office and said that he “looked forward to a discussion that helps us appreciate how we might be able to own the content that we produce and find a way to monetize the talent that we have and to internationalize that talent." 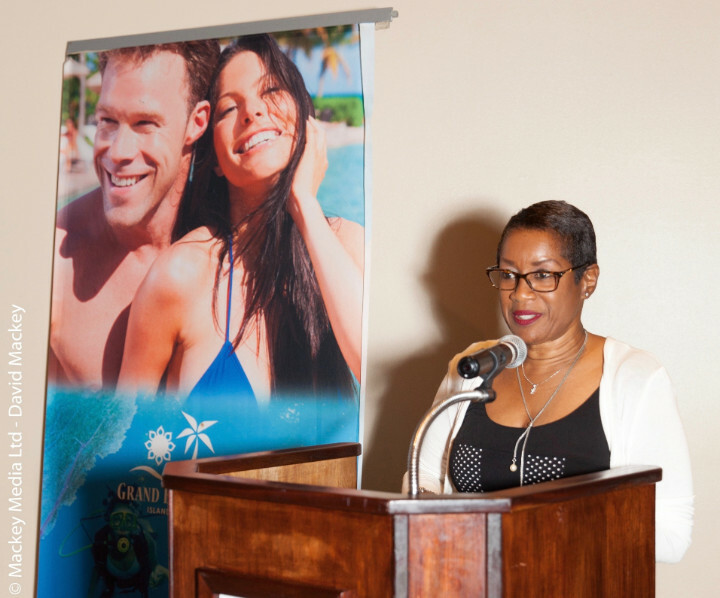 Betty Bethel- Moss, Director, Bahamas Ministry of Tourism & Aviation, GBI. Photo: Dave Mackey, Mackey Media Ltd. He also added that "The Bahamas has an opportunity to take advantage of this sector in a major way if we make the correct decisions, and certainly, strategic alliances are very important in order for us to achieve what we have in mind in this particular sector." As film has always been an important aspect in the preservation of culture, Betty Bethel- Moss said, "The Ministry of Tourism is very happy to have this opportunity to once again address our arts community as you are very integral to what we are discussing and what we hope is the beginning of what's going to happen on Grand Bahama." Having an affection for The Islands Of The Bahamas, both producers agreed to participate in the showcase “To be available to answer questions and speak to various groups in The Bahamas to motivate and take away the stigma that film is so impenetrable," said Nispel. He added that "To get a start right now is so much easier than it was back then because phones can record and make YouTube videos, and if you do something really clever, people are going to notice. Even for writers, just sit down and do it." 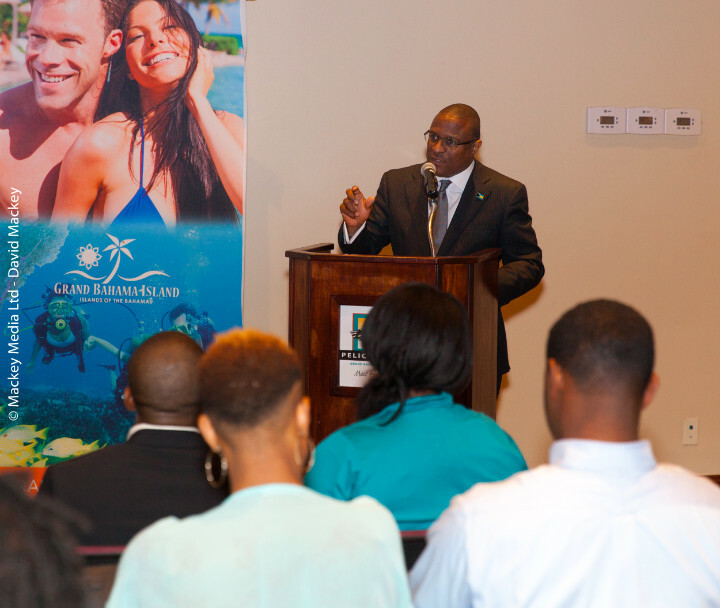 The Travelling Caribbean Film Showcase was a free event that took place at the Pelican Bay Hotel where attendees were treated to an information session, Q&A, screening of the Bahamian film My Father's Land and brief a reception. Clarence Rolle, General Manager, Film Commission, Marcus Nispel, Director, Vince Geradis, Producer. Photo: Dave Mackey, Mackey Media Ltd.